In late 2009, Argentine President Cristina Fernández de Kirchner’s administration imposed a tourism “reciprocity fee” for passport holders from the United States, Canada and Australia, who can no longer simply arrive at the airport (or other border) and automatically expect a stamp in their documents (as shown below). On the face of it, this was a just measure - those countries require visas for Argentine citizens, who must pay for the privilege of merely applying to the US (US$160), Australia (US$100) and Canada (US$100). That visa process often involves traveling great distances for a consular interview. 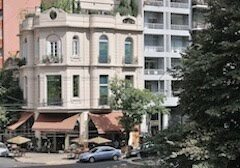 My own brother-in-law and his wife, who are presently visiting California, also had to make a special trip to Buenos Aires from their home in northern Patagonia – at additional expense in time and money - for a perfunctory interview at the US consulate in Palermo. In this context, requiring comparable fees for visitors from the US and countries with similar policies was never unfair. One might even argue that the Argentine policy was relatively liberal, since it never required those visitors to seek an advance visa. Still, I would suggest that the reciprocity fee was (and is) a foolish and counter-productive measure that has made Argentina a less than welcoming destination to many potential visitors. As the new Argentine administration of Mauricio Macri has taken power, it has already eliminated multiple exchange rates and the “currency clamp,” both of which had caused confusion and problems for visitors who, however, still cannot withdraw money from local ATMs except on disadvantageous terms, and must often carry large amounts of US and Argentine cash. That’s an important step forward for the tourism sector, but it should also eliminate the “reciprocity fee” as soon as possible. There are many good reasons to eliminate it. In the first place, it adds to the cost of visiting a destination that is already expensive to reach because of distance – for a family of four from the US, it means an extra US$640 diverted to the Argentine treasury rather than circulating in the economy at large. In the second instance, paying the fee requires opening an account with an unfamiliar payment system to which potential visitors may not wish to surrender personal information online. Third, the arriving visitor must show an easily lost or misplaced printout of the transaction. 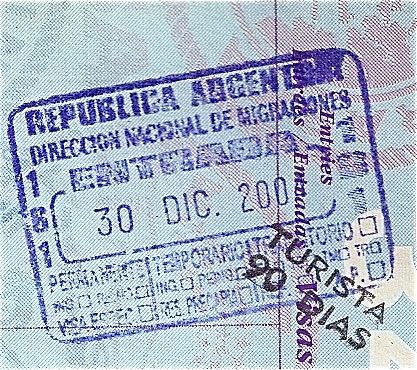 While none of these may be an insuperable obstacle – visitors from all three countries have not disappeared - they cannot compare with the simplicity of arriving at Ezeiza or a land border and simply having your passport stamped. On the positive side, the fee is valid for ten years, but even that’s not totally positive. In my case, since I travel to Argentina every year, the annual amortization amounts to only US$16, but it does require me to carry the expired passport with proof of payment (at the time, I was able to pay on arrival at Ezeiza, which is no longer possible). My dual passports invariably confuse immigration officers, especially at remote border crossings in Patagonia, because their numbers are different. Those are short term considerations, but I think the Fernández de Kirchner administration also struck out on a key longer-term perspective. One booming sector of the travel and tourism sector is youth travel, as evidenced by the proliferation of hostels that cater to students and other budget travelers. Their absolute monetary contribution to the economy may be smaller than luxury accommodations and gourmet restaurants, but it often goes to needier providers, such as snack bars, and neighborhood restaurants and grocers. Today’s budget backpackers, though, are tomorrow’s prosperous professionals and, if they have a good experience now, they’re likely to return when their financial resources are far greater. Repeat visitors are better than one-timers. This, in my opinion, is a missed opportunity. Certainly some of those travelers have made their way to Argentina, but we can speculate that others have bypassed Argentina for, say, Chile – which eliminated its reciprocity fee in 2013. To some degree, of course, Argentina’s reciprocity fee – which I often refer to as a “retaliation fee” - owes its origins to the recent administration’s impulsive politics and awkward relations with the United States, to the detriment of visitors and Argentina’s own future. Along with the reform of multiple exchange rates, unilateral elimination of the “reciprocity fee” would bring in part of the valuable foreign exchange that the country needs to reactivate its economy. It would be a major step toward improving Argentina’s competitiveness and, in this context, it’s worth noting that Brazil will suspend its advance visa requirements during the upcoming 2016 Olympics.